The Panasonic 6461 is a hybrid phone featuring a base station that also functions as a conventional corded phone and a cordless DECT handset providing all of the functionality that you would expect from any modern cordless handset. The base station comes equipped with a digital answering machine as well as a host of other useful features, while the cordless handset provides a range of up to 50 metres inside and 300 metres outside. Providing the best of both worlds, the Panasonic 6461 offers a user­-friendly design and interface. The base station sports a 2.5" display, while the handset has a 1.8" display, both of which are backlit with a soft amber colour. The base station also sports large, wide­-spaced keys and five quick-­dial keys for calling your most important contacts at the press of a button, while the handset is equipped with a backlit keypad making it easily usable in poor lighting conditions. In addition to have the convenience of a traditional corded telephone, you can also enjoy the comfort of hands-­free phone calls using the handset. It features a built-­in speakerphone offering excellent sound quality as well as an intuitive volume control. You can also control the volume of the ringer on either the handset or the base station, and there are five tones and ten melodies to choose from. Equipped with a phone-book providing space for 100 contacts, the base station makes it easy to call your favourite numbers quickly, and your contacts can also be accessed from the cordless handset. Caller ID is supported too, allowing you to block nuisance calls and more. 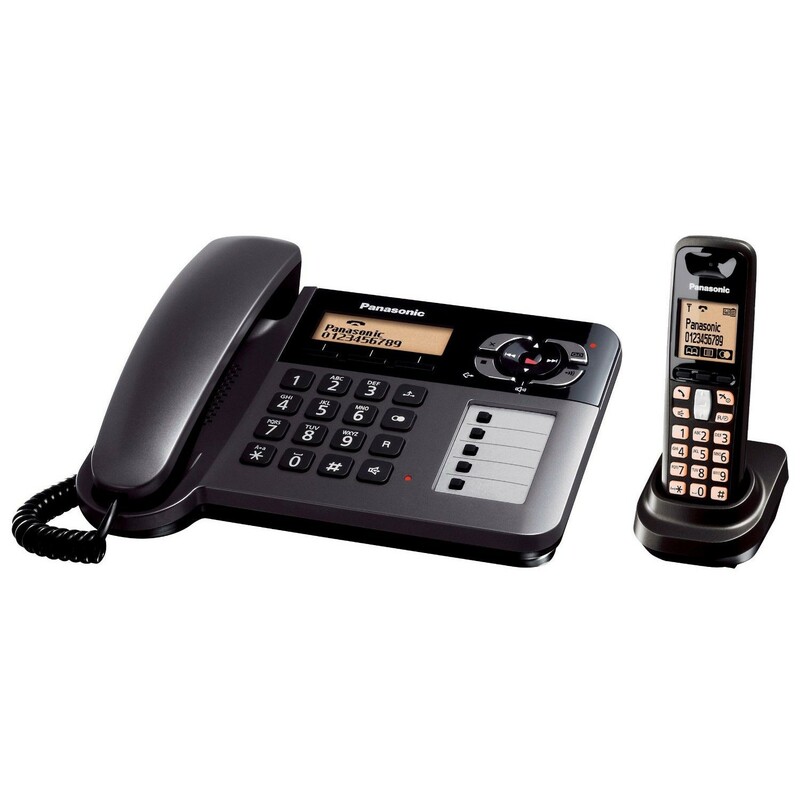 The Panasonic 6461 is an affordable solution for those seeking the convenience of a hybrid landline phone system. instructions are confusing in that on setup the date & time are set only on the cordless handset, NOT on the base unit. Good compromise - replaces old extensions! Bought this unit as a gift my parents who would miss the permenant feature of the phone on the kitchen wall! They like the phonebook memory and the fact you can transfer all the numbers from base to cordless. Full of features they will never use - but they are liking Caller ID! Does what it's meant too. Website said that phone was in stock and available for immediate delivery, however it wasn't so there was a slight delay in receiving it. Only had for about a week.Up to now doing all i need from this phone.